Femi Amogunla – also known as Femi Kayode and Ogbeni Femi, or ‘Mr Femi’ – is a spoken word poet based in Lagos. In 2012, Femi took part in 30 Nigeria House, a collaboration between Stratford East Theatre and New World Nigeria which helped young Nigerian artists to develop their creative practice. Femi recently got in touch with Africa in Words to share his latest project, a short film to accompany his poem ‘My Name, My Identity’. Yoruba names are full of meaning – from Oloruntobi, ‘God is great’ to Adewale, ‘the crown has come home’. These names not only reflect the parents’ or other relatives’ wishes for the child, but are often imagined to shape the child’s destiny. The opening of the video makes reference to a recent trend for altering the spelling of Yoruba names on social media. If you’re friends with any Yoruba-speakers on Facebook, you may have noticed some of them spelling ‘Femi’ as ‘Phemmy’ or adding an h or an r to their name – so ‘Ola’ becomes ‘Holah’ and Ayodele becomes ‘Hayordeleh’. Others drop their Yoruba names altogether, going by their Western or Arabic names instead. All of this is seen in some quarters as an increasing Anglicization of Yoruba naming practices, at the expense of the Yoruba language. Femi’s poem ‘My Name, My Identity’ sees itself as an antidote to changes in naming culture, with Femi insisting on being called by his full names, and exploring the significances of those names. Although the poem is in English, it bears within it echoes of oríkì, a form of Yoruba verbal art which uses a person’s name as a starting point for praising them, and also ewì, a contemporary Yoruba poetic form. With the video (which was filmed in Ile-Ife, a town often described as the orísun (source or spiritual home) of the Yoruba people) receiving praise from none other than renowned film-maker Tunde Kelani, it’s worth checking out. 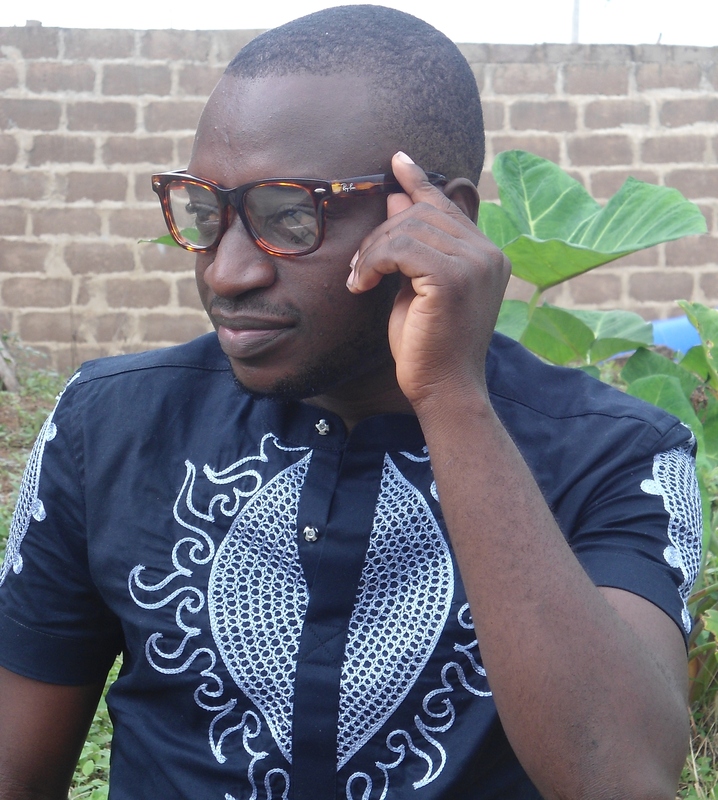 Femi’s work comes at a time when scholars of Yoruba are increasingly looking at new ways of understanding what spoken word poetry does in contemporary Nigeria, and how we relate the poetry of the new generation to what we otherwise call ‘oral culture’. Scholars such as Rita Nnodim, Rotimi Fasan and Oyeniyi Okunoye have explored the growth since the 1960s of ewì, a poetic or chant form practised by, in Fasan’s words, ‘neotraditional poets whose practice blurs the line between oral and literate poetry’, which crosses over between poetry and song, performance and text. 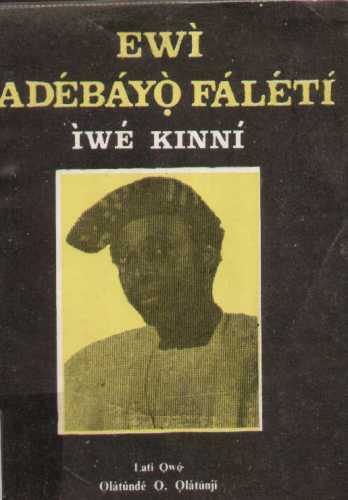 * As well as performing, akewì (ewì poets) often release their poems on cassettes or DVDs, as well as sometimes as books, and you can hear them on radio and television. Though according to some scholars it has its roots in poetry chanted by Egungun masqueraders, ewì today has been adapted to address everyday life, relationships and social politics, it has also taken off as a form of song in Christian and Muslim circles and you’ll hear it at special occasions such as naming ceremonies and weddings. These days, Youtube plays host to some interesting examples of Yoruba spoken word poetry. Some of these videos are designed to compete with music videos – as, perhaps, in Femi’s video which is creatively shot and well-produced – while others simply capture the moment of a performance. One of the most well-known exponents of the art of ewì is the supremely-accomplished Lanrewaju Adepọju, who has been performing ewì since the 1970s. Here you can hear him performing (in Yoruba) his ewì ‘Kadara’ (‘Destiny’) with accompanying music. Even if you can’t understand the Yoruba it’s worth listening just to hear how the rhythms of the performance build up – and as a demonstration of how alive spoken word poetry can be. Aside from ewì, below you can watch chanter Tunde Balogun performing a series of oríkì or praise poems for towns, accompanied by music and dancing (the subtitle on the green background tells you the name of each town he’s describing and praising). The poet has taken the ancient art form of oríkì orílẹ̀, praise poems for lineages and towns of origin, and borrowed some of the methods of the music video, adapting it to the circumstances of present-day Nigeria. And that, in a nutshell, is probably the future of spoken word poetry in Nigeria. * Fasan, Rotimi Omoyele. 2011. ‘He(art) of the metre: Poetry in the “Vernacular”’. Journal of Literary Studies 27 (3): 21-38. If there are any oral artists or poets you think we should know about, whether from Nigeria or elsewhere, we’d love to hear about them – just leave us a comment below. Akeem Lasisi of The Punch Newspapers does the same trick. He has a number of collections to his credit. Hi Sonnie, thanks for reading and for your comment! And thanks, you’re right, Akeem Lasisi is definitely worth mentioning. I saw him perform from Wonderland (Eleleture) last year, and he was really, really good. One of his videos seems to be online here: http://www.youtube.com/watch?v=Hu99M1dL5ys though the performance I saw was a bit different, just him on his own. Thanks Eniola, glad you enjoyed it!